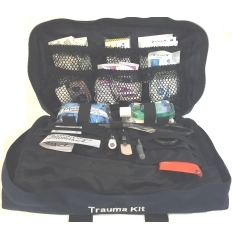 The 169 piece Police Service Dog Trauma Kit is designed for use by Law Enforcement and EMS Search & Rescue K9 Units. 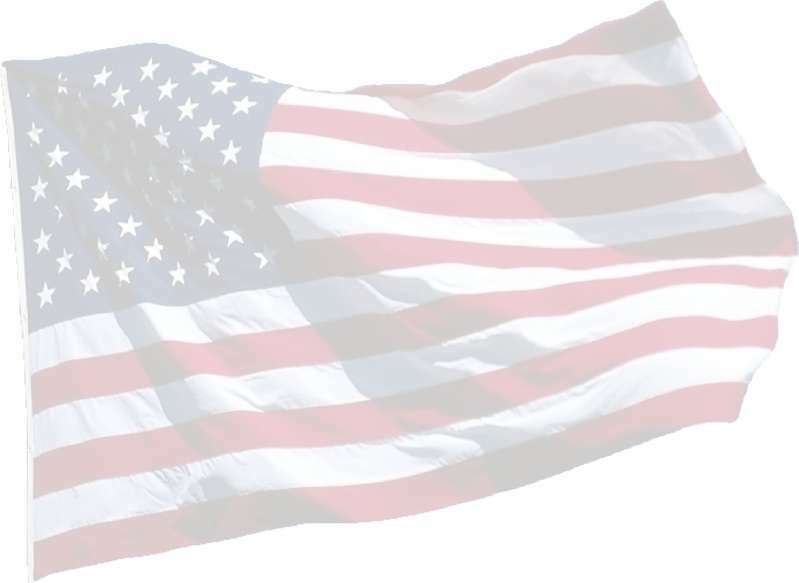 It contains specific supplies for someone with basic first aid training to treat both the handler and dog for injuries ranging from gunshot and knife wounds to insect bites. Originally designed for the Orange County, CA Sheriff's Department. The high quality, US made blue nylon bag is approximately 14 W x 8 H x 3.5 D and is slim and compact to fit in the crowded trunk of your patrol vehicle. 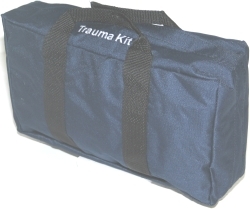 The Police Service Dog Trauma Kit is ideal for use with all working dogs such as Police Service Dogs and Search & Rescue. Alcohol Hand Sanitizer, 1.5 oz.